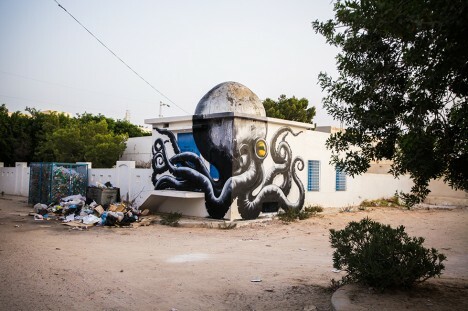 Using the unique regional shapes of structures to his advantage, street artist ROA has created a series of large-scale works as part of a neighborhood art project in Djerba, Tunisia, drawing 150 artists from 30 countries. 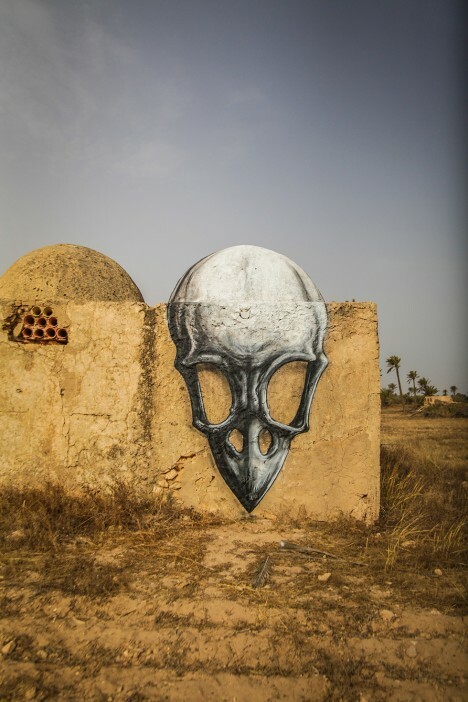 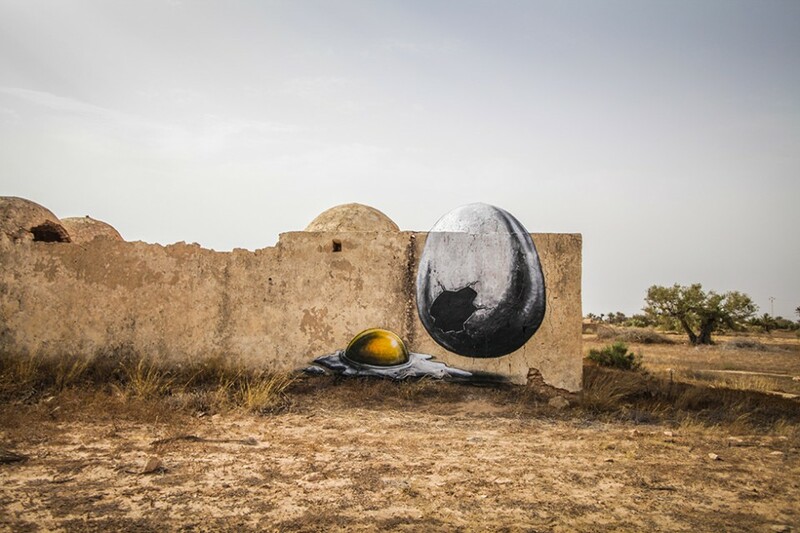 While a number of impressive and well-known painters and muralists contributed to Djerbahood, ROA’s work is particularly site-specific, drawing on the architectural details (like domes) present in the regional landscape, mainly in deserted buildings. 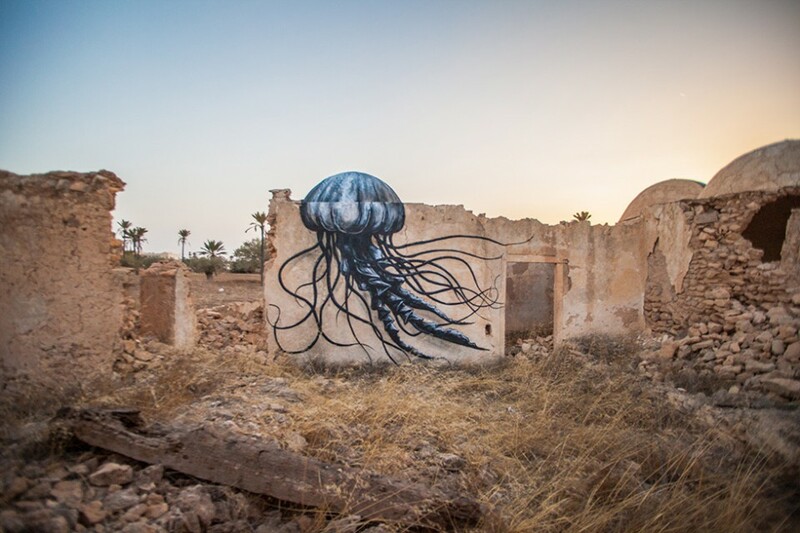 The artist’s signature creatures, as usual, vary with the locality as well – in this case his work features a combination of desert and sea animals, reflecting the water-surrounded space as well as the dry land of the area. 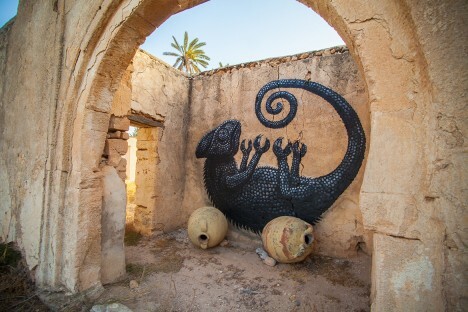 The largest island in North Africa, Djerba has become a true open-air museum, contrasting authenticity and tradition with a space for expression by artists of various cultures. 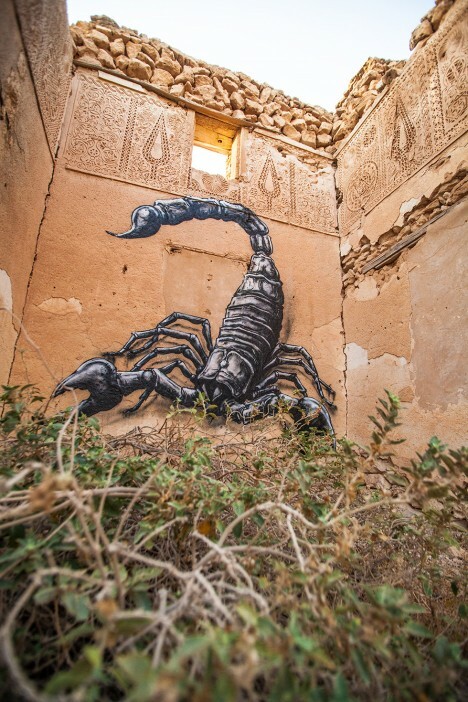 This project was made in part to appeal to tourists, aiming to draw in additional visitors from Europe and around the world. 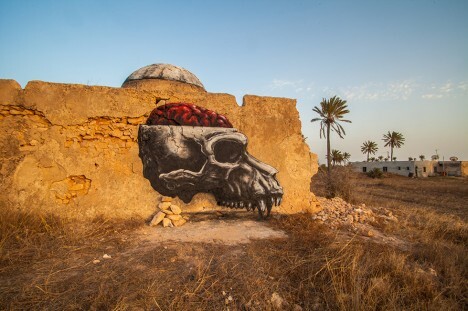 Additional work by ROA includes urban street animals in Mexico and Panama City as well as London.